MDC Alliance leader Mr Nelson Chamisa yesterday revealed that he played a crucial role in the appointment of commissioners to the Zimbabwe Electoral Commission (ZEC), which today he condemns as lacking capacity to run a credible election. Addressing a Press conference in Harare, where he raised a litany of charges against ZEC, Mr Chamisa claimed during interviews for the job the ZEC commissioners proved intelligent and capable of running elections. He now accuses the same of lacking in everything to run the polls 25 days before election day. Zimbabweans vote on July 30. “By the way I want to share with colleagues, I was responsible for the interviews of most of ZEC commissioners, but from a parliamentary perspective,” said Mr Chamisa. Mr Chamisa conducted the interviews on May 9, 2016 and the panel of interviewers also comprised academics, former ZEC commissioners, educationists, lawyers and a member of the clergy. The interviewing panel was co-chaired by a sub-committee of SROC chaired by Deputy Speaker of the National Assembly, Cde Mabel Chinomona and Mr Chamisa. Mr Chamisa played a crucial role during interviews to select ZEC commissioners in his then capacity as the chairperson of the legal and procedure sub-committee of the Standing Rules and Orders committee. The confession by Mr Chamisa, which exposed his hypocrisy, came as political parties yesterday scoffed at calls by the MDC Alliance leader for sadc, African Union and the United Nations to intervene in the forthcoming elections saying only ZEC was mandated by the constitution to run the election. Mr Chamisa yesterday told a Press conference that he would be sending an envoy to sadc and the AU, and also called for their intervention in the running of the elections, accusing ZEC of failing to manage the electoral process. The ruling Zanu-PF said the only role the AU and sadc or any other international body could play was observing the election. “Since when have the AU and sadc taken over the conduct of elections in any country?” said Zanu-PF spokesperson Cde Simon Khaya Moyo. “They are all coming as observers. The whole world has been invited, so why should they come to conduct the elections? We are a sovereign State. Cde Khaya Moyo dismissed issues raised by the MDC Alliance as “tired”. MDC-T spokesperson Mr Obert Gutu said only ZEC had the responsibility to run elections. Rebuild Zimbabwe presidential candidate Mr Washington Chikanga said they had no problems with ZEC. 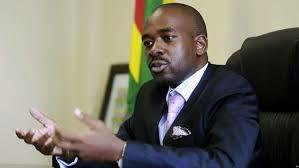 “As a party, we have no problems with ZEC because it is an independent body,” he said. “They produced the voters’ roll and people went to inspect and those who had problems were given an opportunity to make amendments.